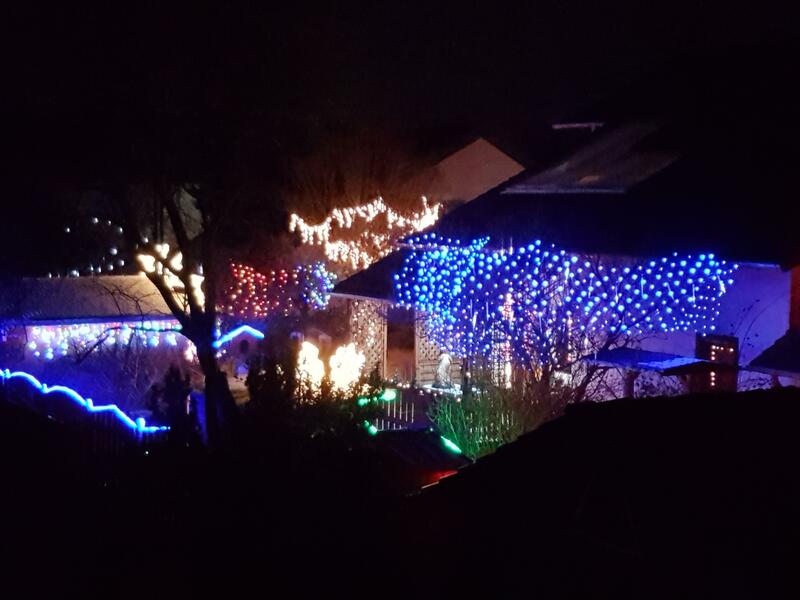 Wir sind heute nach Siegelbach gekommen und ein Nachbar hat schon die volle Weihnachtsbeleuchtung angestellt. Das Wetter ist auch entsprechend, kalt mit Schneeschauern. 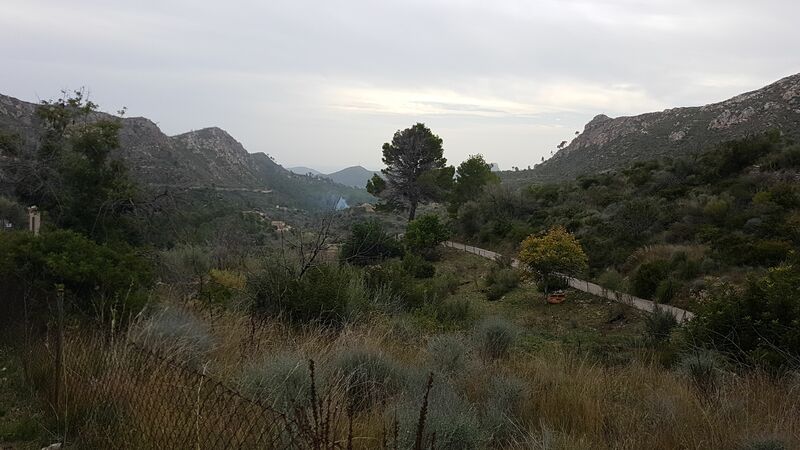 We met our friends in Andratx today and went for a 3.5 hour hike (over 8km) through the Coma Freda (“cold valley”) up the mountain, and the Coma Caliente (“warm valley”) back down, followed by nice cake on their patio. At first it was overcast, later the sun came out, and the temperature was about 20 deg Celsius until the sun went down. Great day for hiking. 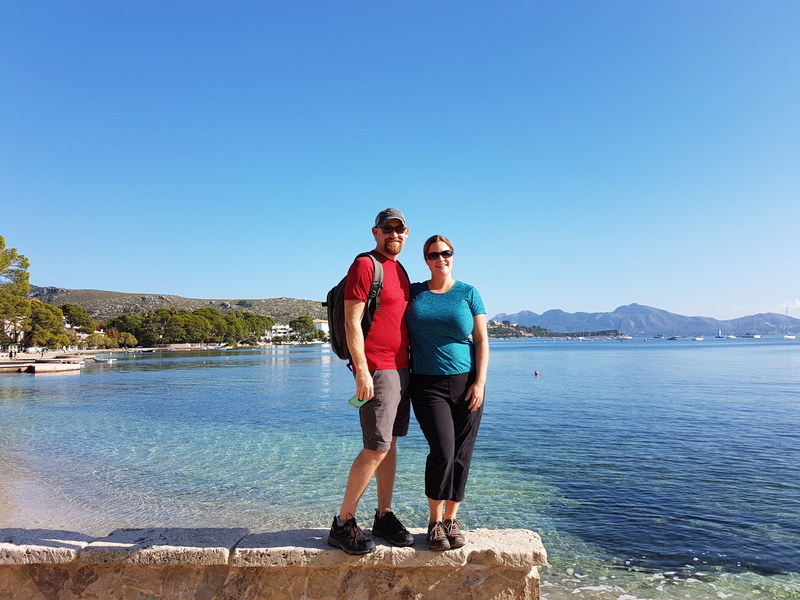 Another beautiful, warm and sunny day in Pollenca. After a bit of golf, we spent the afternoon on the water in front of our winter place. Now my legs are sore! After the hike yesterday, I took my Hobie kayak out today. This is driven by foot pedals, great, but after another 16km of foot work, my legs are rather sore. 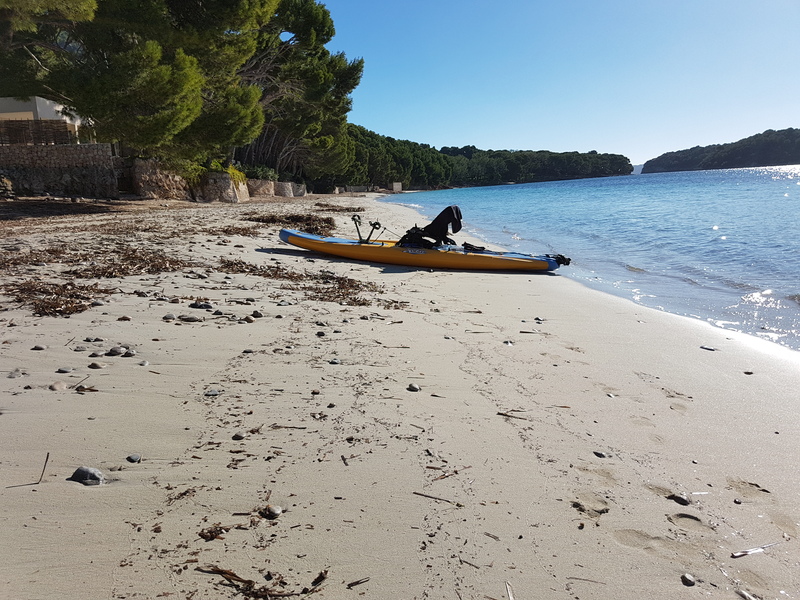 The weather is still great, I went from our place in Port Polenca to the beach at the famous Hotel Formentor (closed right now) and back. Great day on the water, and time to relax now. Today we went all the way south to Banyalbufar and met our friends Siegfried and Maike for a hike on the country estate of Planicia. 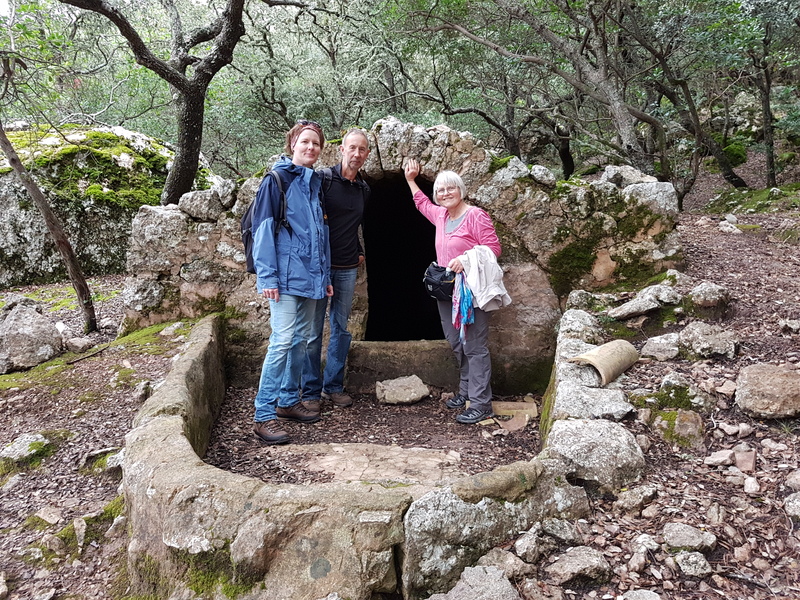 This was bought by the Balearic Island Administration a few years ago (for 11m Euro) and is now accessible to the public. We hiked a strenuous 10km with fantastic views and a nice spot for lunch. The weather is cooler than usually, but dry. Ralph und Ute aus Heidelberg besuchen uns zur Zeit auch und heute sind wir alle sechs 16km gewandert. 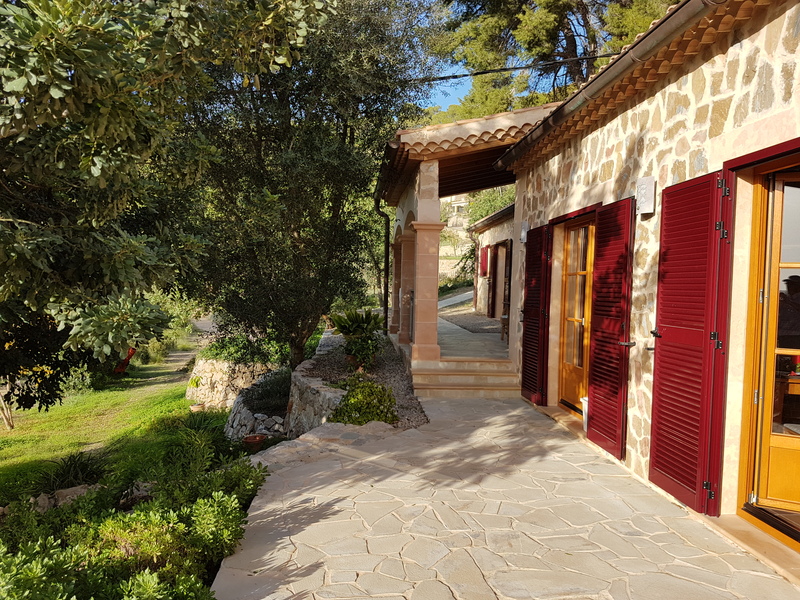 Von Pollenca ging es durch die Privatfinca Ternelles zum Castell del Rei aus dem Mittelalter. Sehr schön und unterwegs haben wir auch Geier und Adler gesehen. Jetzt genießen wir die Sonne auf unserer Terrasse, heute abend gibt es Fisch. 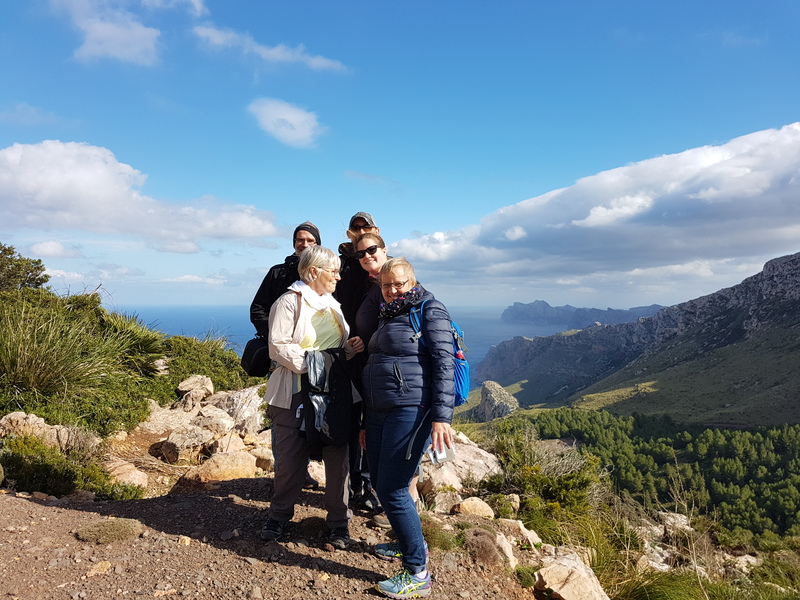 The family visitors have all left and today we moved from Port de Soller to our usual winter quarter in Port de Pollenca. Drew and Katrina, who we met in Alaska, are visiting us for a few days. I am happy to report that the weather is much nicer than any we had in Alaska.